In 1997, the mission committee of First Presbyterian Church, Bristol, TN read an article in Parade Magazine about the health care crisis in the United States. It stated that one million more Americans go without health insurance each year, and one way communities could help was to start a charitable clinic. The initial planning meeting for the health center was attended by one hundred people. The Healing Hands Health Center opened just eighteen months later. Healing Hands Health Center provides services for our working, uninsured neighbors: medical care and much needed medications; dental care including exams, x-rays, cleanings, extractions and fillings; chiropractic care; eye exams and eyeglasses; psychological and spiritual counseling services. 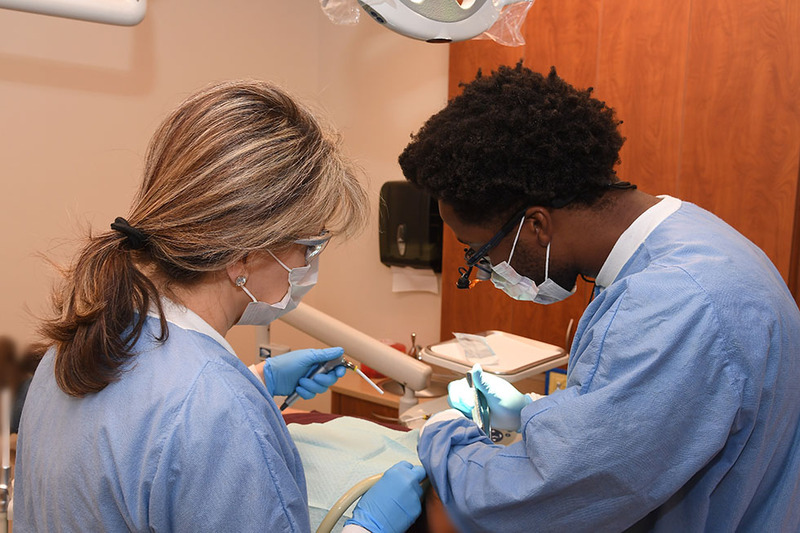 The clinic has numerous partnerships including Bristol Regional Medical Center, United Way of Bristol, University of Tennessee Health Science Center College of Dentistry, East Tennessee State University Dental Hygiene School to Program School, ETSU Quillen College of Medicine, King University School of Nursing students and over 350 extremely dedicated volunteers, such as physicians, nurses, dentists, dental assistants, chiropractors, optometrists, opticians, counselors, clerical workers, drug room volunteers, and receptionists. Many patients give back to the clinic by volunteering their services such as cleaning the building, landscaping and painting. To be eligible, everyone must go through an application process. Patients must be uninsured and have a total household income of 250% or less of the Federal Poverty Guidelines. Patients find out whether they qualify the day they come to the clinic and are told where to get help if they do not qualify. The clinic acts as a referral source and we do not overlap or duplicate services.